Located on scenic Kaneohe Bay, the Marina offers a variety of activities for water sports enthusiasts. We offer sailboats, powerboats, or for larger parties, our pontoon boats. Rentals are available for sailing, water-skiing, fishing, and kayaking. MUST BE AN AUTHORIZED PATRON TO UTILIZE THE MARINA’S SERVICES. 100% I.D REQUIRED. $20.00/hour. Includes boat rental, gas, skis, wake board, tow float & instructions. Mon-Thurs, 0900-1400. Prior licensing and reservations are required. You must take the MANDATORY ONLINE BOAT LICENCE EXAM (click here), prior to the rental. Get a 50-lb ice bag for only $7.00 or a 12-lb bag for $2.00. Choose from the 10 or 12-person Pontoon, 6-person Boston Whaler and ski boat. 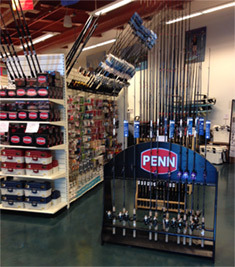 Stocked with all your outdoor adventure items including a large selection of shoreline fishing gear and accessories, colorful outdoor apparel and sun protection. Located at the Marina, we offer tents, coolers, stoves, lanterns, surfboards, boogie boards, rods and reels, horseshoes, picnic canopies, tables and chairs, and other outdoor needs, all available at low daily rates. Light up the night at MCCS’s Fire Pits only available at MCBH Hale Koa Beach campgrounds (3 available). No reservations needed. No glass containers on the beach. No burning of rubbish, wood pallets or crates; and no vegetation or trees are to be cut and used. Fire wood is available for purchase at the Marina.